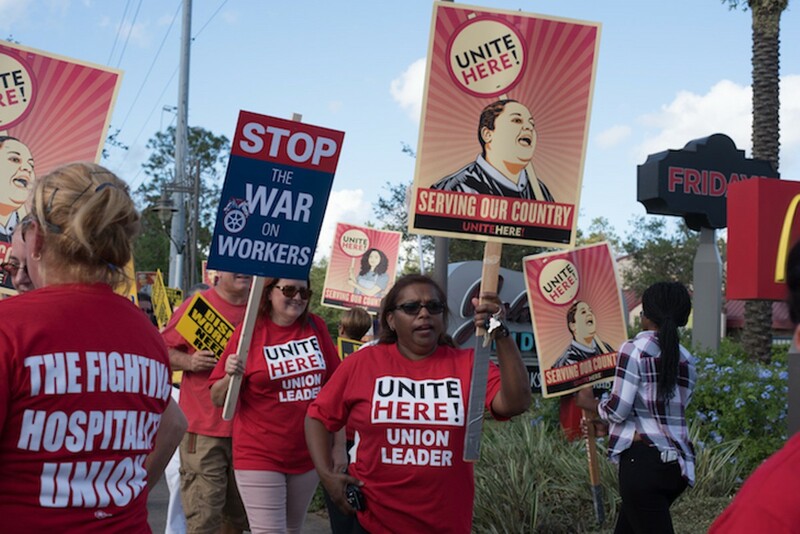 Battling a company worth billions is no easy feat, but the Orlando union workers at Walt Disney World are a scrappy bunch ready to brawl if it means putting food on the table for their families. The six unions that make up the Service Trades Council Union want a $15 living wage from the Mouse for cast members, and they're willing to stop traffic with rallies to get their point across. Central Florida's tourism industry has long been made profitable only by paying workers wages low enough to force them into poverty, and some people (thankfully) have had enough.